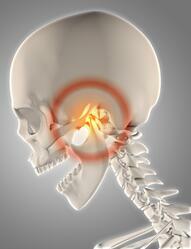 What do I do with patients that have TMJ pain? 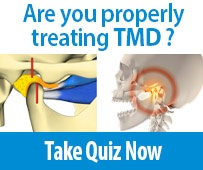 So what do we do with the patient that has TMJ pain or has TMD? So this is the symptomatic patient now. So kind of what we'll say is kind of look at maybe a broader swipe and go inside. Look at these patients as orofacial pain patients. We're going to go back to the examination. What does the examination tell us with these patients? What do we think's going on? Do we think we have problems? Is it muscle or it is joint? If it's a joint issue, is it a partial disc dislocation or a complete disc dislocation? And we're going to treat from there. We're going to treat in a reversible means. Can we make this patient better with reversible therapies and hold them there? From there, we can proceed with definitive care with no irreversible dentistry until we get our patient comfortable and stable over a long period of time. You being the physician of the masticatory system that Pete has talked about for years, you have to interpret the data. What does it tell us? We're going to answer a couple key questions. Can the patient breathe? Because airway can tie in with these symptomatic patients, you have to screen for airway. We have to have a preliminary diagnosis, again, of what you think the joint health is. You've got to determine, then, if it's that general patient or specialty patient. Obviously, if it's that specialty patient that's at number three, specialty red-category patient that we talked about (picture to the right). Now we're going to proceed through orthotics in reversible means. As we use these precision orthotics and we use that term precision orthotics because there is an orthotic you are going to pick based on what you think that diagnosis is with a patient. We're going to monitor, then, that orthotic for comfort and stability. If we get better, wonderful. We're going to hold that patient there. 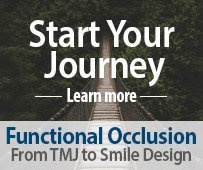 Now, we can go through our treatment planning protocols, and try to set them up with an ideal occlusion. If our dental solutions, reversible means orthotics, do not eliminate the problems, and we've ruled out airway, now you’re going to expand to your interdisciplinary team, and you're going to refer because it may not be a dental problem. So the key here is just following a pathway step-by-step, and not doing irreversible dentistry before we've made this patient comfortable. And that means we're not equilibrating; we're not doing restorations. The caveat here would be in that stage one treatment if our patient does have bacterial things going on, decay and perio disease, it's okay to take care of those things. 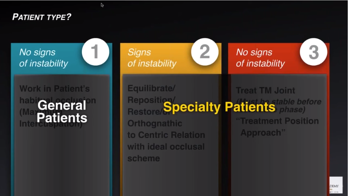 But we're not solving the occlusal problems, though, until we can get a patient comfortable, and stable, and verified that it is a dental issue, and then we can proceed. Learn more about recognizing and treating specialty patients like this at TMD Patients: Diagnosis & Treatment. 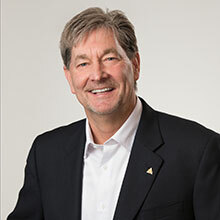 Dr. Cobb is Director of Core Curriculum and senior faculty member, Cobb Dentistry, owner and practicing dentist. 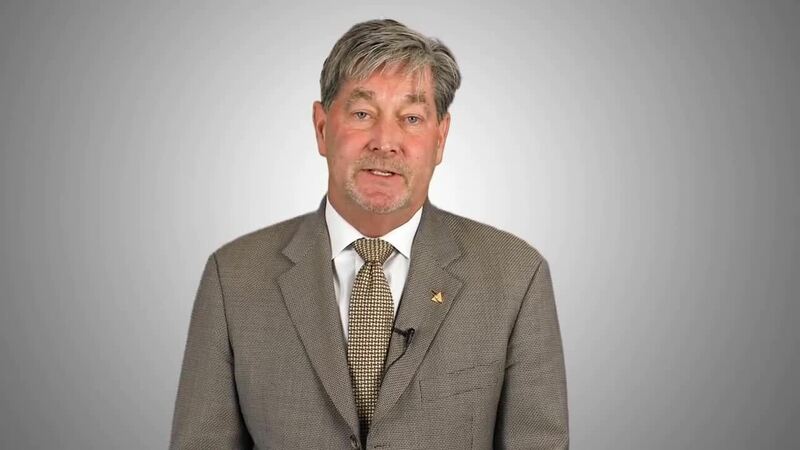 He is a noted speaker with 18 years of experience lecturing both nationally and internationally.